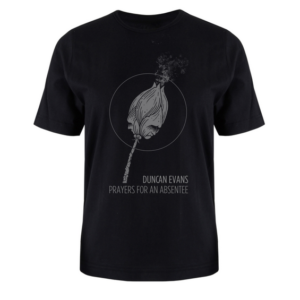 Duncan Evans’ sophomore release “Prayers For An Absentee” is a collection of eight prayers transformed into songs that display the next step in his songwriting journey. Inspired by the likes of Nick Cave, Leonard Cohen and Swans, Evans is crafting dark folk rock that fuses elements of post-punk with singer songwriter sensibilities, tinged by psychedelia. 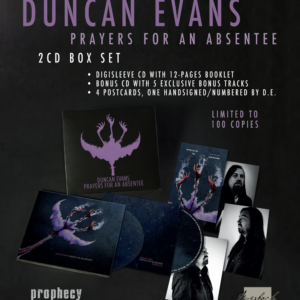 His first recording with a full band, this is Duncan Evans exploring sounds reminiscent of acts like Wovenhand, Sparklehorse, Bonnie “Prince” Billy and even Current 93. 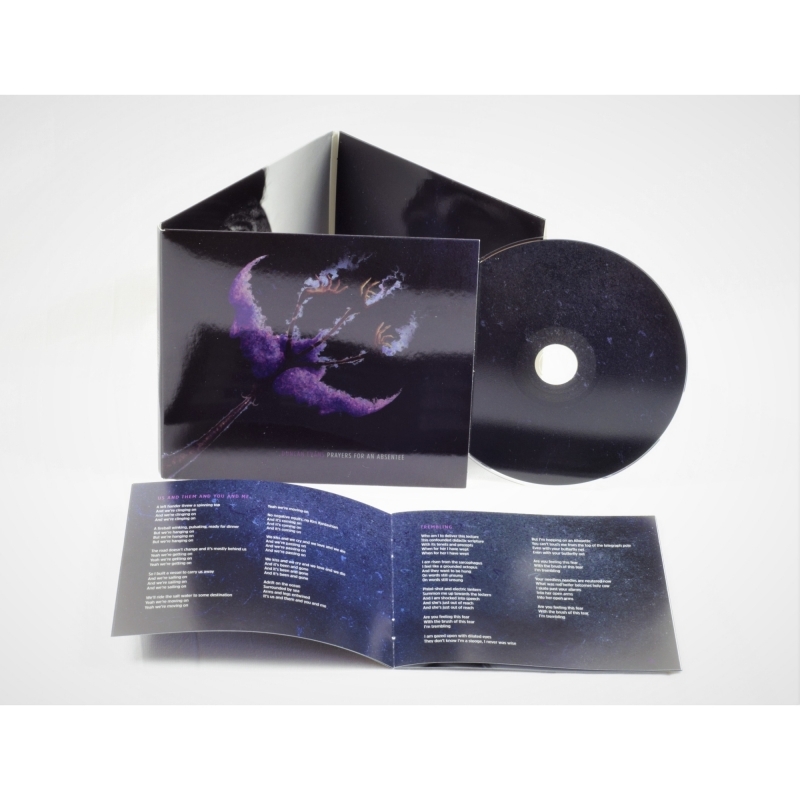 “Prayers For An Absentee” is steeped in sadness and what the Portuguese call “saudade” – an inexplicable longing – which runs through the spine of the whole album connecting all the songs from the reality of the everyday to the fantasy of the never. 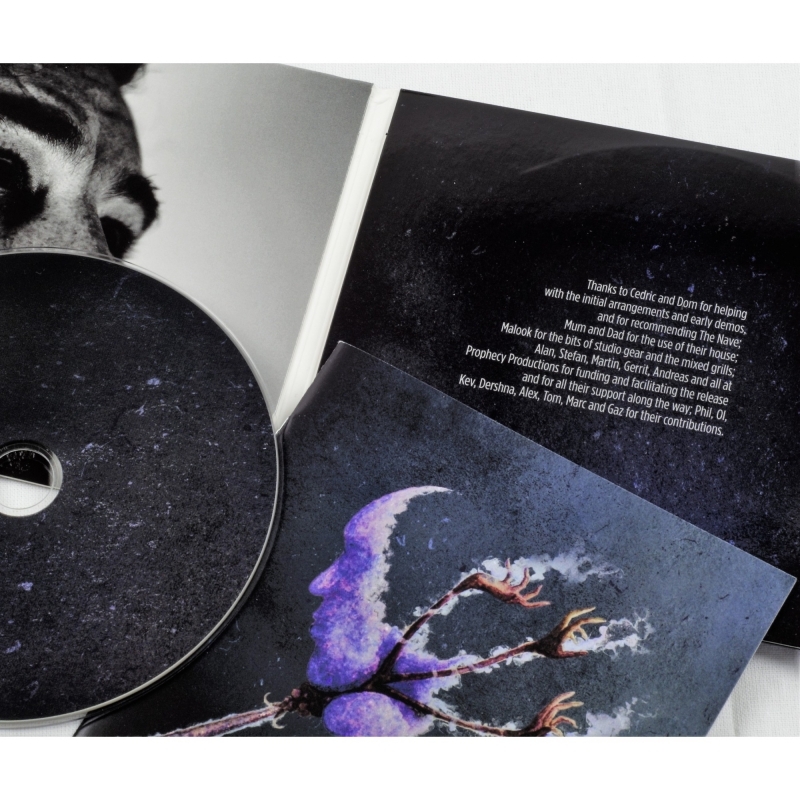 Going against the grain of a society bred on cold isolation “Prayers For An Absentee” is an achingly warm and open album; at times fragile and quiet, at others abrasive and angered, yet never less than honest and truthful. 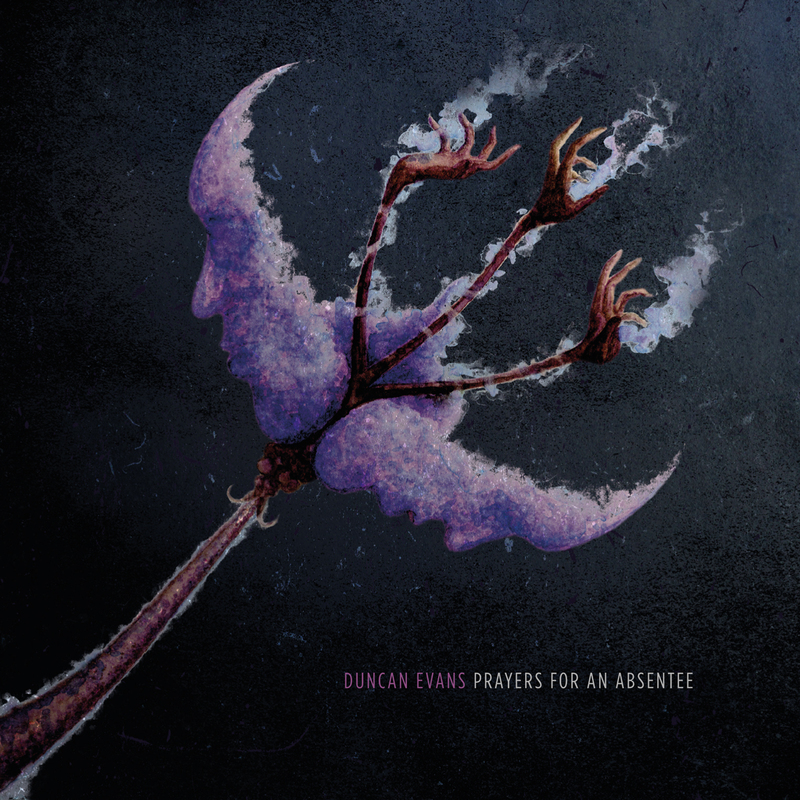 With cover art by noted underground artist Irrwisch (Hexvessel, Botanist, Der Blutharsch, Prophecy Fest) and lyrics inspired by Cormac McCarthy, Thomas De Quincey and John Berryman among others, “Prayers For An Absentee” is an album rich with fresh musical ideas, using a lexicon and iconography that one might not have expected after “Lodestone”. 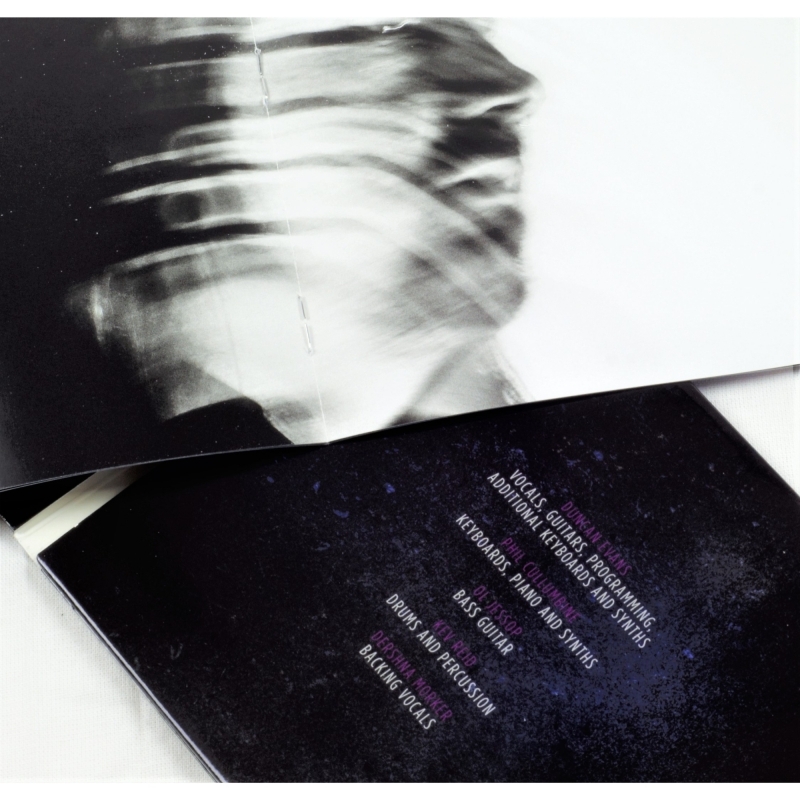 Defined by its poetic sense of yearning and reflecting our own inner turmoil, this record represents a striking artistic rebirth for Duncan Evans.